If you’re redoing your kitchen, one of the most impactful decisions you’ll make is which type of cabinets to have installed. Offering both functional and aesthetic value, cabinets influence the room’s overall theme. You’ll need custom cabinets to fit unique kitchen measurements, but if not, you may be considering in-stock, pre-assembled options. 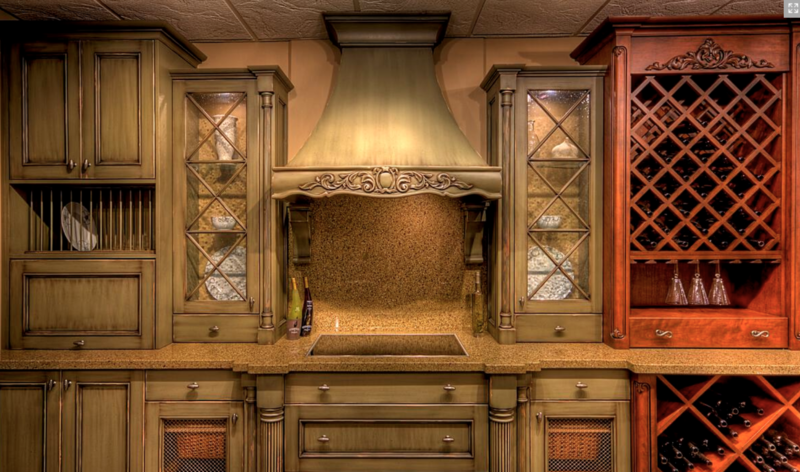 Here are a few reasons why so many individuals are drawn to having their cabinets tailor-made. One compelling advantage of custom cabinets is their ability to maximize the space you have. Because you won’t have to work with pre-assembled designs, you can have cabinets built to any height, width, or depth, thus taking advantage of the shape and size of your kitchen. You can also have customized doors, drawers, and shelves built in to fit your specific preferences and needs. For example, if you’d like pull-out drawers for easier access to kitchen tools or slots for storing wine bottles, your designer can make it happen. These features are crafted by hand using only the finest quality materials, compared to in-stock cabinets which are made on assembly lines. Thus, you can rest assured the cabinet makers will exercise the greatest level of precision when building yours. They also use different braces and joints to ensure long-lasting quality. In many cases, materials are also locally sourced, which can help to minimize the carbon footprint of your remodeling project. In-stock cabinets offer little room for personalization. With custom designs, however, every aspect of the build is up to you. Various wood types, finishes, and hardware can be incorporated into your cabinets to ensure the finished products reflect your unique style preferences. Custom designs can even be built to fit any shape, including round. Thus, if you have a one-of-a-kind vision in mind, custom is certainly the way to go. When Rochester, NY, residents pursue kitchen transformations and need the best company for the job, they turn to Kornerstone Kitchens. Their team has more than 40 years of design experience and will oversee every step of your remodeling or new construction project to ensure your dream kitchen is executed flawlessly. Browse through their gallery of completed projects online for examples of how they install high-quality custom cabinets or call (585) 427-0280 to discuss your project.